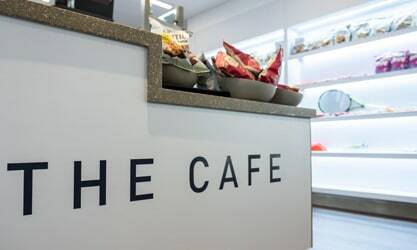 The Cafe is at the very heart of our hotel and offers a wide range of nutritious and healthy food options that promote health and wellbeing. 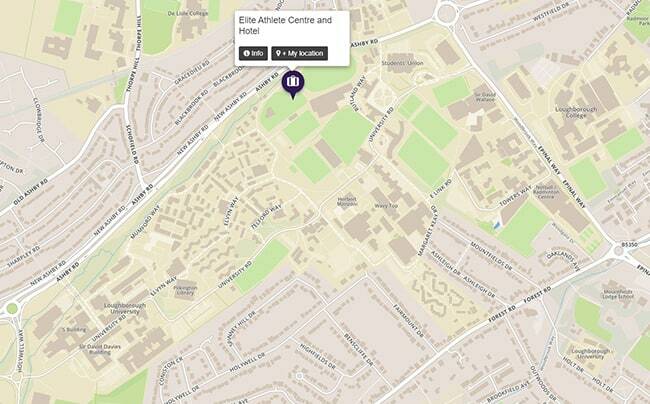 Perfectly located next to the Sebastian Coe High Performance Athletics Centre, Paula Radcliffe Athletics Track and the water-based hockey pitch, The Cafe is right at the hub of campus sports facilities. Serving a wide range of nutritious and healthy snacks, sandwiches, salads and hot meal of the day for just £7.50, it forms part of our wider nutrition philosophy which is all about enabling athletes to meet their performance goals. Our nutrition philosophy is to provide a world class performance nutrition food service to enable athletes to meet their individual dietary needs. The menu and environment serve as a vehicle to educate and empower athletes on how to make appropriate food choices to achieve their individual nutrition goals; ultimately enhancing their health, recovery, training and competition performance. Our opening hours are 9am - 6pm Monday to Friday and 9am - 5pm on Saturday, so please swing by and sample our amazing food offer! Our nutrition offer is at the very heart of the hotel. The Cafe is open to University residents and partners to drop in and sample the most nutritious food on campus!